TROMMEL sifts through embedded device files to identify potential vulnerable indicators. Output TROMMEL results to a file based on a given directory. By default, only searches plain text files. Output TROMMEL results to a file based on a given directory. Search both binary and plain text files. The intended use of TROMMEL is to assist researchers during firmware analysis. 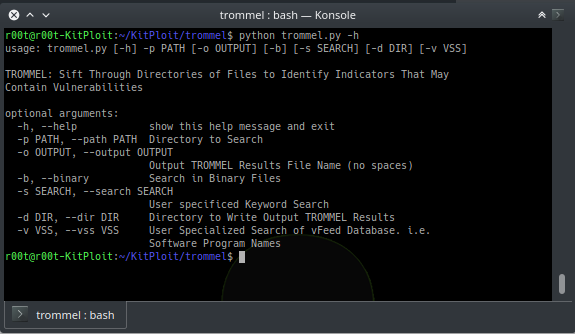 TROMMEL has been tested using Python3 on Kali Linux x86_64.